Just fifty minutes from Barcelona, in the Penedes wine region there is a 1,000-year-old farm house where guests create their own Cava wine. This little family-operated vineyard lets its guests try different blends of Cava to taste which blend they would like for their own Cava. 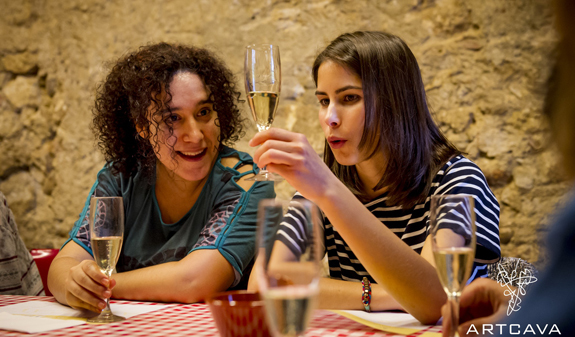 Once the guest has chosen their blend of Cava, they start the process of blending and bottling their selected grape blend. 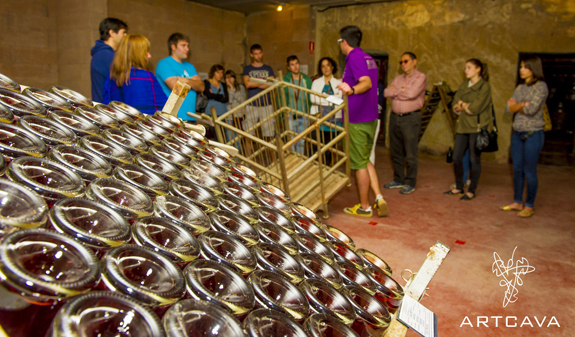 Visitors also get a tour of the vineyards and wine cellars. Step-by-step, they are taking into the process of making Cava. For just 42 euros per person not only do guests get a tour and their own Cava, but visitors also get free transportation from the local train station. As a bonus, the Cava that is personally created goes home with their maker and can even include a personalized label! To make the journey more special the vinery offers lunch in its rustic location for just a little more. It is recommended that guests book this activity ahead of time if they would like to participate. Cava is special to those who enjoy it and with your own personalized bottle you too can start enjoying the special drink! What’s more unique than making your own Cava and sharing it with your friends at home? Bring back a memory from your family stay in Vilanova! This really sounds enticing. We love to visit these old farms, because you learn a lot more than just riding on a tourist train through the premises. Thanks for the information!